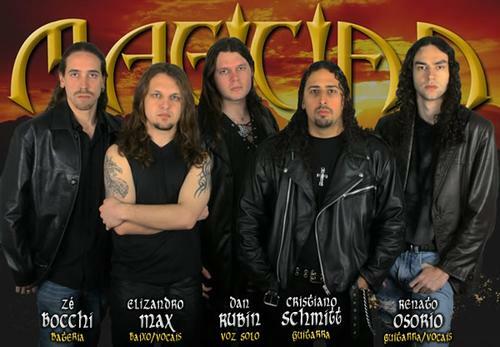 Magician came to life in 2000 in Porto Alegre, Brazil, when Cristiano Schmitt (guitar), Elizandro Max (bass) and Zé Bocchi (drums) who used to play in a project called Anya, joined Dan Rubin (Vocals) and Renato Osorio (guitar), that had left the Rising Land project. This line-up remains the same until now. Mixing heavy and progressive riffs and harmonies with the speed of melodic power metal, this Brazilian band brings us a particular sound. Powerful riffs, majestic choruses and excellent solos, mixed with great vocal arrangements. 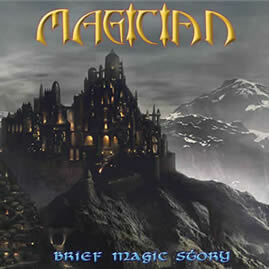 With the release of the very well reviewed demo Brief Magic Story, the band had the opportunity to play live in Porto Alegre with world wide famous metal bands such as Helloween, Shaman and others. 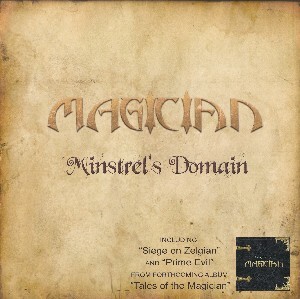 Recorded in 2006, Tales of the Magician is a conceptual work, telling the journey of Zhaldor, a mage seeking to free his homeland Zelgian from the underworld terror. The album was mixed and mastered at High Gain Studios in Hamburg/Germany by Dirk Schlächter (Gamma Ray), Kai Hansen (Gamma Ray, ex-Helloween) and Arne Lakenmacher, who worked with bands like Kreator, Primal Fear, Sodom, Nevermore and Destruction.